TODAY, a whiff of crony capitalism, i.e. a politician helping a businessman or vice versa, results in a scandal. But in the pre-Independence era, when India and Indians fought for freedom from the British Raj, there was no such stigma and putridity attached to such connections. Businessmen openly rubbed shoulders with politicians, and the latter publicly walked with the former. Industrialists funded the freedom movement, and the national leaders backed the former in shaping British’s economic and business policies. However, there were differences between then and now. In cases a century or so ago, the politicians meticulously kept the records of the funds received and disbursed. In fact, many of them insisted on giving the detailed accounts to their business financiers. In addition, while the politicians supported business houses, they also clashed with them. It wasn’t a one way street all the way. Hence, it is impossible to explain the narrative as either the beginnings of crony capitalism, or the momentum of nationalist fervour. One can tell this unbelievable story through several characters. 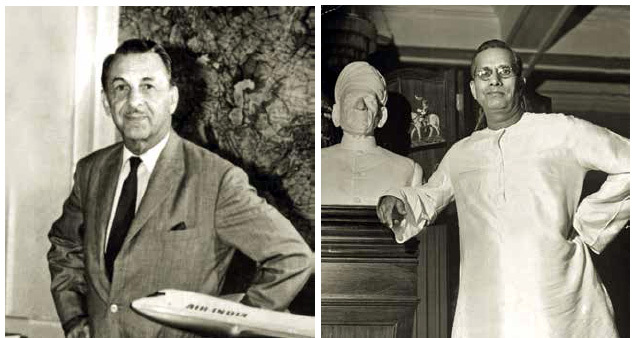 But it is easier to do so with a few of them – Mahatma Gandhi, Sir Ratan Tata and JRD Tata, GD Birla, and Jamnalal Bajaj. The first was the most important politician between 1915, after his return from South Africa, and 1948, and the other four represent the three leading business houses. The interactions between them reveal the extent of the benefits they doled on each other, respect they had for each other, and the battles they fought with each other. Gandhi’s financial contacts with Indian companies began when he still in South Africa, fighting for the cause of Indians against the racial apartheid regime. In August 1925, on a visit to Jamshedpur, where the Tata’s steel mill was located, he told the audience, “In South Africa when I was struggling along with the Indians in the attempt to retain our self respect, it was Sir Ratan Tata who first came forward with assistance.” Sir Tata was the second son of Jamsetji Nusserwanji Tata, the founder of the Tata Group. Letters between Sir Tata and Gandhi, and articles by Gandhi flesh out the funding pattern. 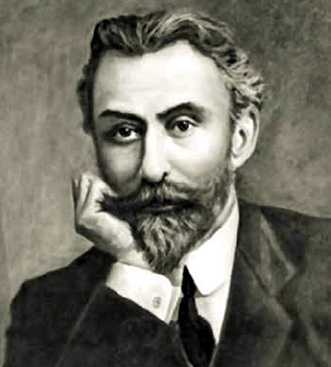 Between 1909 and 1912, Sir Tata donated at least Rs. 125,000 in three instalments to Gandhi’s Natal Indian Congress. In December 1909, Gandhi wrote in Indian Opinion, a newspaper he launched in South Africa, that Tata’s gifts represented the Parsi generosity and India “has been roused” by his African cause. In January 1910, Sir Tata wrote, “I shall watch the progress of the struggle with great interest….” He hoped that the “brave efforts” would “soon be crowned with the success they deserve”. Once he returned to India, the Tata Group continued to fund Gandhi and the Indian National Congress (Congress Party). 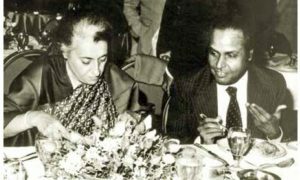 Between the 1920s and 1940s, there were continuous allegations that the Tata Group gave money to the Congress to organise mass movements and fight the elections for the central legislative assembly and provincial councils. There were scores of other business houses, like Birla and Bajaj, who did the same. Even the businessmen in South India had deep friendship with Gandhi. MONEY wasn’t required only for the movements. Gandhi’s extraordinary lifestyle had to be financed too. According to B.R. Nanda, a Gandhi biographer, “One of her (Sarojini Naidu) oft-quoted, and misquoted remark was, “It costs a lot of money to keep Gandhi in poverty.” Mohammad Ali Jinnah, Pakistan’s first premier, said that although he travelled in first class in train, and Gandhi in third class, he spent less on his tours. This was because of Gandhi’s “giant entourage”, as described by author Patrick French. One of GD’s biographers, Atulanand Chakrabarti, estimated that Birla paid Rs. 50,000 a year for several years for the running of Gandhi’s Wardha Ashram. Gandhi made requests to Birla to financially support his media ventures, like Young India and Navjivan, and also provide money to buy books, other literature, and periodicals (including foreign ones). The Mahatma urged the millionaire to support the former’s personal causes. In 1936, Rabindranath Tagore, Nobel Prize winner, was on a whirlwind tour to raise money for Viswa Bharti at Shantiniketan. Gandhi was extremely unhappy that the 75-year-old Tagore had to make these efforts for a mere Rs. 60,000. He immediately sent a message, according GD’s biographer, MN Juneja, to Birla that six rich people should donate Rs. 10,000 each. It comes as no surprise that the millionaire furnished Rs. 60,000 himself, and to give respect to Tagore, insisted that it be a “secret donation”. Juneja wrote that GD was Gandhi’s “employment bureau”. The businessman gave cash and jobs to the Mahatma’s relatives, friends, and acquaintances. He would receive weird requests. When Jaiprakash Narayan’s mother died, Gandhi asked Birla to help with money. When one Sharma from Khurja”, who was a naturopath, wanted to visit Europe for 18 months, Gandhi wrote to Birla, “I feel like financing his trip and stay abroad from the money you promised me for this year.” It’s unclear whether GD sent an extra amount. Some entrepreneurs, who provided funds for the Congress and politicians’ personal uses, worked as treasurers of the party. 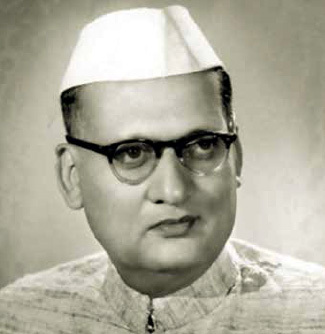 A leading example was Jamnalal Bajaj, who was the treasurer for almost two decades in the 1920s and 1930s. He was handpicked by Gandhi. Bajaj played a leading role in the fund collections for the All India Tilak Memorial Fund, and money disbursements for the popularisation of khadi. NANDA wrote that in March 1921, the Congress decided to raise Rs. 10 million for the Tilak Fund within three months. Both the figure and time period were the brainchild of Gandhi. Bajaj was one of the ten chosen ones, who were allotted quotas to be collected from specific provinces. As a treasurer, he also had to ensure that the overall target was achieved. By June 15, 1921, only about Rs. 4 million was donated to the fund. Bajaj was desperate; another Rs. 6 million had to come in just over two weeks, by June 30. 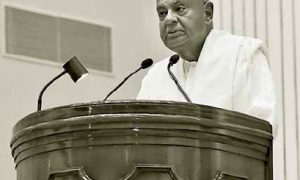 On June 14, he wrote to Seth Govind Das, a rich Marwari in Jabalpur, that the only workable solution to meet the target, as insisted by Gandhi, was to distribute sixty shares of Rs. 100,000 each to wealthy individuals. Bajaj added, “I think your name should be included in the list of responsible individuals who will be charged with the collection of the money.” Fortunately, a collection overdrive brought in Rs. 3.6 million from Bombay, and another Rs. 2.4 million from Gujarat over the next two weeks. A shortfall of Rs. 200,000 was equally shared by Bajaj and Umar Shobhan, wrote Nanda. However, throughout his political career, Gandhi, according to Nanda, “attached the greatest impor-tance to the collection and disbursement of public funds”. He believed that “a public fund was public property”, and every member of the public, including the non-donor, was “entitled to know how the fund was disbursed”. In his autobiography, Gandhi wrote about how he put the finances of Natal Indian Congress on a “strong footing”. “I dare so,” he wrote in 1926, “the account books for the year 1894 can be found intact even today in the records of the Natal Indian Congress.” After he returned, accounting became critical for the Congress in India. The reason: until 1919, the Congress depended on individuals to raise Rs. 30,000-50,000 to hold its annual sessions. Thanks to Gandhi, the collection soared. In 1919, the Congress raised Rs. 700,000 to acquire Jalianwala Bagh, and another Rs. 200,000 was sent for the relief of the sufferers in Punjab. In 1921, as mentioned earlier, Rs. 10 million was collected for the Tilak Memorial Fund, and such figures increased in the 1930s and 1940s. Later, when Gandhi was questioned about the disbursement from this fund, he could confidently answer that the accounts were published by the Congress, and the audited figures were available with the treasurers and general secretaries of the party. Gandhi wanted every citizen to have access to them. Even in the case of individuals, be it GD or Tata, the Mahatma insisted on giving the millionaires a complete balance sheet of how much money was given, and how much was spent and where. Regularly, he handed over papers with the accounts to GD, who refused to accept them, or tore them instantly. The millionaire had total faith in the Mahatma. 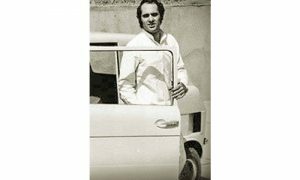 So was the case with other businessmen, including Sir Ratan Tata and Bajaj. There can be no doubts today that the politicians helped the industrialists in several crucial policy issues. In her biography of GD, Medha Kudaisya mentioned several such instances over a couple of decades. It is worthwhile to mention two such examples – one that helped the entire Indian business community, and the other that benefitted a single Indian company. They do indicate that the politicians were willing to be seen as supporters of specific businessmen, which would be dubbed as crony capitalism today. A few times, the politico-business combination proved almost successful on the currency exchange rate issue. In 1927, when the Currency Bill was tabled in the Indian central legislative assembly, “political leaders from diverse shades of the spectrum such as (Madan Mohan) Malviya, Srinivas Iyengar, Jinnah, and Jamnalal Mehta condemned the bill”. The Indian businessmen and politicians in the assembly voted as a bloc, and the “government managed to pass the bill with a very narrow margin”. Imperial preference, in several cases, turned out to be against a specific and single Indian company. Let us take the example of steel protection. In India, the steel industry was “synonymous” with Tata Group. So, any combined and vociferous argument for higher duty on British steel imports would directly help a single Indian company. However, as Kudaisya said, the business community got together on such issues, and “successfully rallied the support of nationalist politicians for their position”. The Mahatma helped the millionaires on operational issues, i.e. the management of their companies. According to RM Lala, a biographer of J.R.D. Tata, the Tata Group was besieged by several trade union strikes in the 1920s after the successful Russian Revolution. In 1924, “Mahatma Gandhi came with Rajendra Prasad and C.F. Andrews (a Gandhi loyalist from South African days) to settle the strike”. Finally, a dismissed general manager was reinstated, and work began after Andrews was appointed the union’s president. Gandhi intervened in the businessmen’s sensitive personal issues. When the Birla clan was excommunicated by the Maheshwari Panchayat in Calcutta because of GD’s elder brother, Rameshwardas’ (a widower) marriage to a girl belonging to Kolwar-Maheshwari (a supposedly lower caste), GD turned for advice to Gandhi and Malaviya. From both he turned for advice and solace. Both urged GD to politely put forward his arguments before the Marwari Panchayat, but accept whatever decision is taken by it. DESPITE the bonhomie and respect between the politicians and businessmen, they battled over several issues. One of the bitter ones happened in 1945, after the British regime decided to unofficially send a delegation of Indian businessmen on a trip to England and the US after the end of World War II. The idea was to enable the Indians to understand the industrial organisations in the West, technological advances, and the post-war scenario. The government had neither reference nor control over it. Gandhi castigated the industrialists who were about to leave. On May 6, 1945, he told his audience, “The independence will not come for the asking. It will come when the interests, big or small, are prepared to forego the crumbs that fall to them from partnership with the British in the loot which British rule takes from India.” He continue that the “unofficial delegation… dare not” enter into a “shameful deed” with the British as long as Congressmen were “detained without trial for the sole reason of sincerely striving for India’s independence without shedding a drop of blood save their own”. 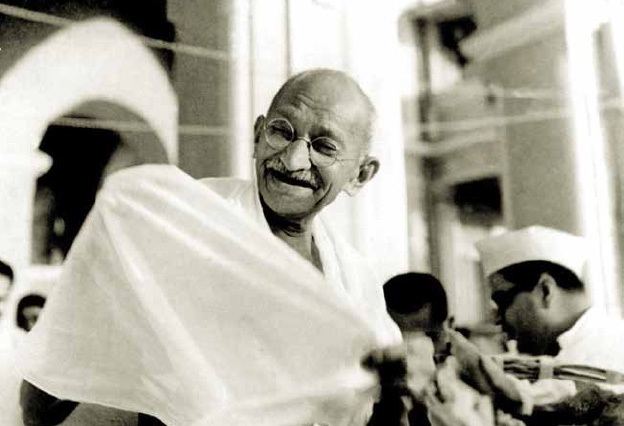 On several occasions, the Mahatma took on the Indian mill owners who, taking advantage of khadi’s popularity, pitched their produce as mill-spun khadi, and sold it at cheaper prices than the hand-made one. Gandhi maintained that mill-spun khadi wasn’t khadi, and the industrialists lied to the public about it. The latter were more worried about their profits. Birla tried to convince the Mahatma that mill–made cloth had the potential to replace foreign cloth. THE mutually-beneficial and sometimes-retaliatory relationships between the politicians and businessmen led several academics and researchers to contradictory conclusions. Some said that the politicians exploited the businessmen, and vice versa. Thus, the politicians felt that easy money would help them to gain independence faster, and emerge as national icons. The businessmen felt that they could combat their entrenched British competitors better with the support of the nationalist leaders. Others believed that greed, material wealth, profits, success, and personal ambitions weren’t important in such associations. They were more related to ideas such as respect, friendship, mentorship, spiritual enlightenment, and moral high ground. Both the politicians and industrialists had common aims, and they assiduously, courageously, and with a nationalist fervour, joined hands to win freedom for themselves and countrymen. Theirs was a larger, more universal cause; the means justified the ends. Between these two extreme positions would lie a more relevant ground. A few researchers argued that both the politicians and businessmen played several games at the same time. Big business used nationalist politics to put pressure on British government, and then negotiate a few benefits from the rulers. Nationalist politics used big business for money that could ensure mass movements to take incremental and giant steps towards freedom.